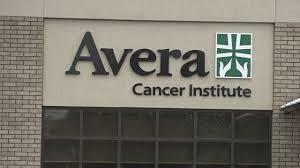 Avera announced it is part of an international collaboration for the care of lung cancer patients. This FDA approved clinical trial is called the SPRING trial. It stands for Survival Prolongation by Rationale Innovative Genomics. Patients are given a three-drug protocol that incorporates immunotherapy (avelumab) and two other therapies (palbociclib and axitinib). Dr. Ben Soloman, principal investigator for the SPRING clinical trial, and medical oncologist with Avera Cancer Institute joins us to discuss the study.